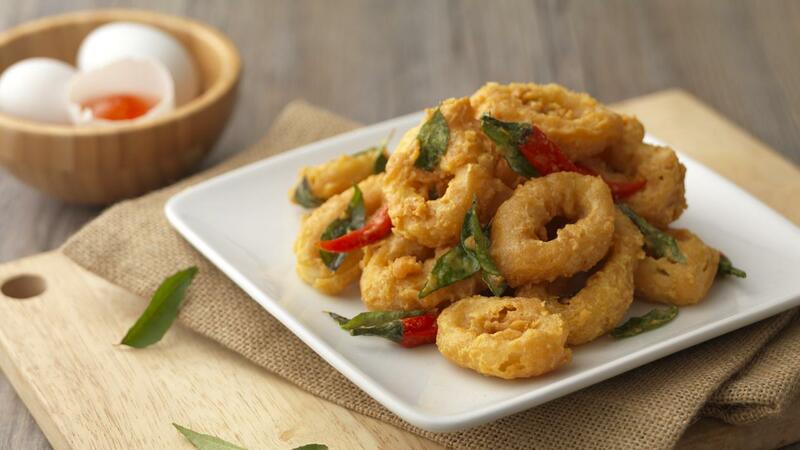 Salted Egg makes this usual calamari dish a little extra sinful and delicious. Mix well all ingredient and allow to marinade for 10 minutes. Coat with Batter. Deep-fry till crisp and cooked. Saute all ingredients and add cooked calamari. Toss well and serve immediately.